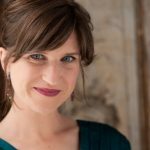 Erin Plisco is the Associate Director of Choral Studies at Missouri State University, where she helps lead a comprehensive choral program of over 300 singers, conducts multiple choirs, and teaches undergraduate and graduate choral conducting and literature. She is completing a Doctor of Musical Arts in choral conducting from the University of Arizona, where she studied conducting with Bruce Chamberlain and voice with Elizabeth Futral. She completed the Master of Music in Choral Studies at Trinity College, University of Cambridge (United Kingdom), where she was a recipient of the prestigious Gates Cambridge Scholarship, studied with Grammy-nominated conductor Stephen Layton, and sang with the Sidney Sussex Chapel Choir under David Skinner. She holds a Bachelor of Music degree in Choral Music Education and Vocal Performance from Christopher Newport University. Erin has held positions at the university and high school level, most notably serving as the Director of Choral Studies at Pinecrest High School (Southern Pines, NC). Under her direction, the choirs received numerous awards at national festivals and competitions, performed by invitation at the NCMEA State Conference, and her chamber choir was the winner of The American Prize for high school choral ensemble performance in 2013. Erin has served as a frequent guest clinician throughout the United States, is a past recipient of the Colleen Kirk Award (given by the ACDA Southern Division in recognition of her outstanding achievements as a young conductor), and has spent three summers as a choral fellow with the Yale School of Music -Norfolk Chamber Music Festival in Connecticut, under the direction of Simon Carrington. While at the University of Arizona, Erin was the assistant director of the Tucson Symphony Orchestra Chorus and assistant conductor for the Varna International Music Festival and Opera Academy in Stara Zagora, Bulgaria. She served as the graduate teaching assistant for the Arizona Choir and the graduate choral program at the UA Fred Fox School of Music, where she was named the Music Advisory Board’s Distinguished Graduate Student of 2017. Erin continues to maintain a career as a professional ensemble soprano, performing with choirs across the Unites States and United Kingdom.